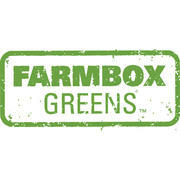 Farmbox Greens is an urban, vertical farm located in Seattle, WA. Farmbox grows microgreens and culinary herbs for sale in Seattle and beyond. Our company is committed to low impact sustainable agriculture by minimizing space, water, and resource consumption while maximizing efficiency and yield. Day shift to start 7am-3:30 M-F.
Ability to work a flexible schedule is a positive as the greens are always growing. We are seeking a hardworking, detail oriented, self-starter to add to our team to help with day to day production and farm operations. This is an entry-level position which entails all aspects of indoor farming including planting, harvesting, packaging, cleaning, and food safety. Our facility is highly regulated by our food safety measures which require our employees to have attention to detail with all aspects of their work. Assisting in the growth and packing of microgreens. Harvesting, packing, labeling, and boxing produce. Cleaning and sanitizing growing area. Measuring and preparing seed for planting. Recording and documenting food safety procedures. Prior greenhouse/agriculture production experience preferred but not required. Ability to lift up to 50 lb. seed bags. Ability to lift up to 30 lbs. frequently for moving crops, seed, and packaging. Ability to work in a refrigerated environment at 36 – 40 degrees. Ability to maintain a safe working environment by following all safety practices and food safety procedures. Ability to take and pass a pre-employment drug test.